That beautiful mug, those curly tendrils, that chiseled body... OK, OK, I'll stop. (I'm still thinking about it though, just know that). Despite Game of Thrones' Kit Harington being well, all of that and a family sized bag of chips, he's also super talented, and from all the interviews I've seen, a total gentlemen. 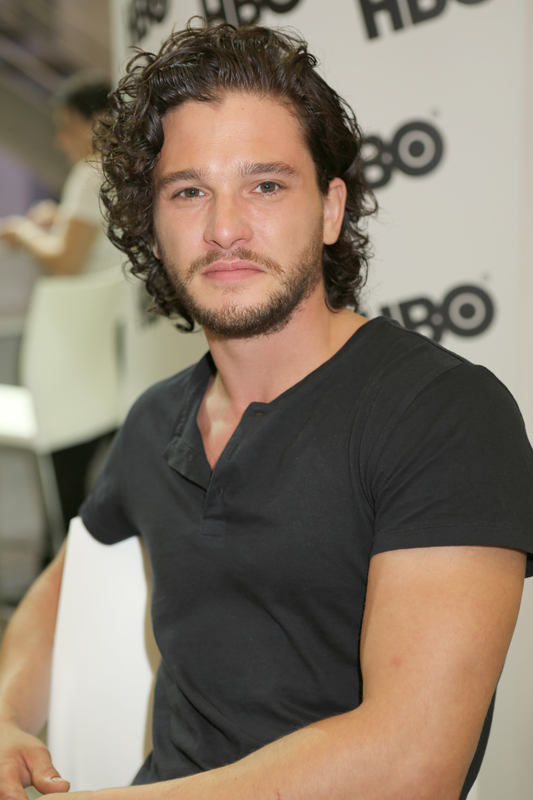 Which, begs the question: Is Kit Harington single? Who bagged that complete package? Or, did anyone yet? Because if they haven't, Kit, I am completely and utterly available and willing to move to all the exotic locales where Game of Thrones takes you. Because, selflessness. Actually, I'm fairly certain, as Beyoncé would say, all the single ladies (and some single gentlemen, too) would be just as "selfless." Such good people in the world. They've been back on for about three months. That said, it's casual right now and they're having fun. They're not moving in together or anything like that yet. More interesting than that though, there were also reports that Harington and Emilia Clarke, or as she should be properly be referred to, Khaleesi, were maybe, possibly a thing for a moment before this alleged reunion, but apparently those were simply rumors. While you should always take what an anonymous source says with a grain of salt, to be fair, there is photographic evidence of Harington and Leslie in an airport together in August. And if flying together is an indication, it seems like the talk that their relationship is back on may be true. If it is, I'm sure it'll crush the souls of millions, but it's sort of hard to hate on a relationship that your favorite show brought together. Really, I just need to know if this means he only dates his GoT co-stars. Because honestly, that would be so unfair to the rest of the world. They all already have the coolest jobs imaginable, do they have to have the most eligible single people as well? !